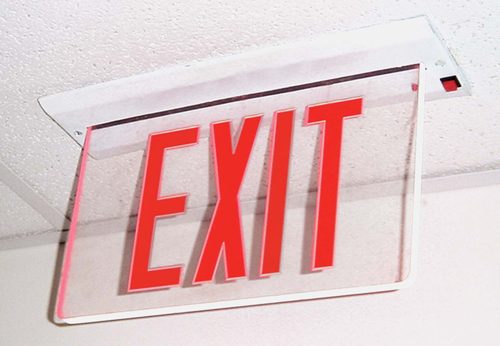 For a better looking Exit Sign, choose the New York approved, recessed mount Exit Signs with exceptional looks and durability. • A compact, low-profile design features a thick, clear background that matches with any decor. • The premium battery option features a high-grade, Nickel Cadmium battery. • Each model features a self-contained recessed system, an easy-access push-to-test switch and a sleek. inconspicuous design.